The elders say that the harsher the night‘s frost, the more intense the colours will be. 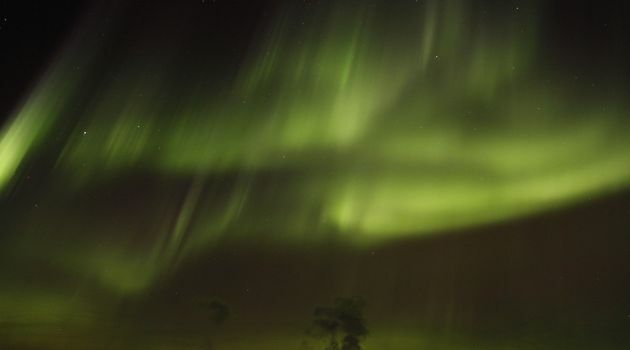 Swirling and swaying overhead, displays are usually greenish-yellow but white, red and pink lights can also appear. 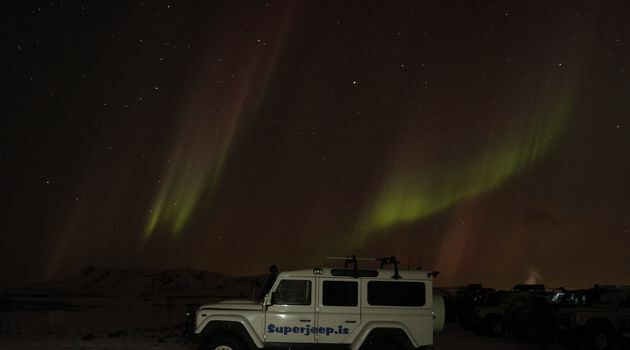 The Northern Lights superjeep tour is dependent on the weather and sky conditions and we reserve the right to cancel at any time. 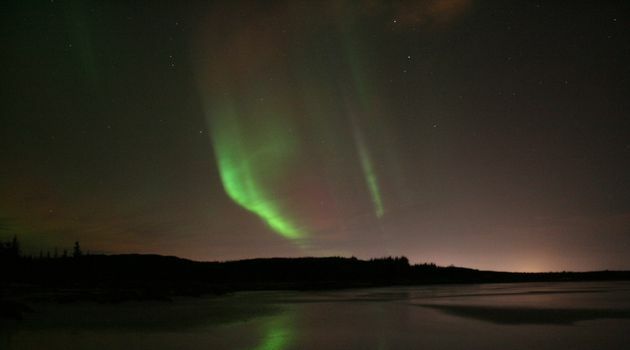 If the evening tour goes ahead and the Northern Lights are not seen, we will offer you to try once again for free! 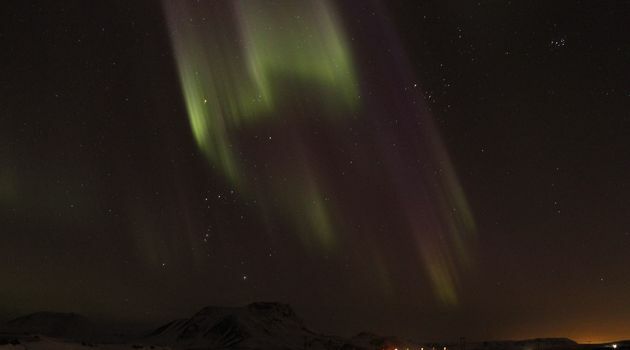 Make sure you book your Northern Lights tour in Iceland for your first night in town in order to maximise your chances of seeing the northern lights. Please note that the size of your group can grow if we’ve had to cancel several nights in a row due to weather. 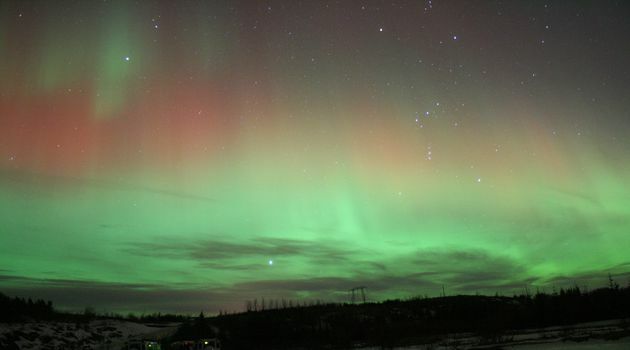 We indeed try our best to find Northern Lights for everyone! This tour lasts 3-4 hours. Free pick-up from your hotel in the capital area begins at 20:00. From 15/09 - 31/09 and 15/03 - 15/04. The pick up starts 21:00 due to a longer daylight. 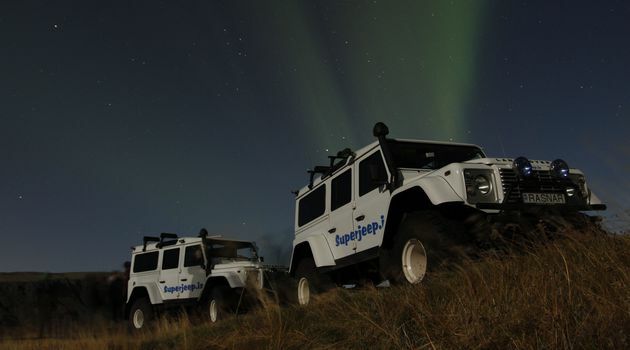 A tour in a Superjeep, including a driver guide. Personal service and a lot of fun. 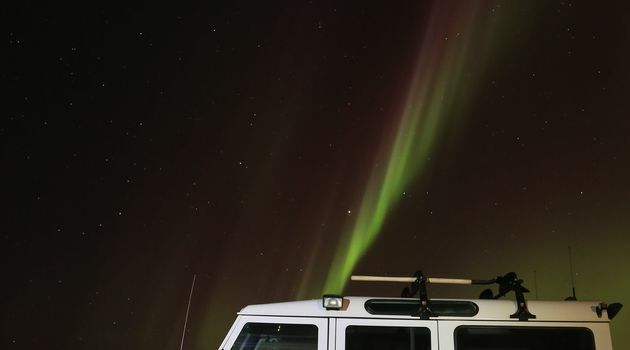 The Northern Lights Superjeep tour is dependent on the weather and sky conditions and we reserve the right to cancel at any time. 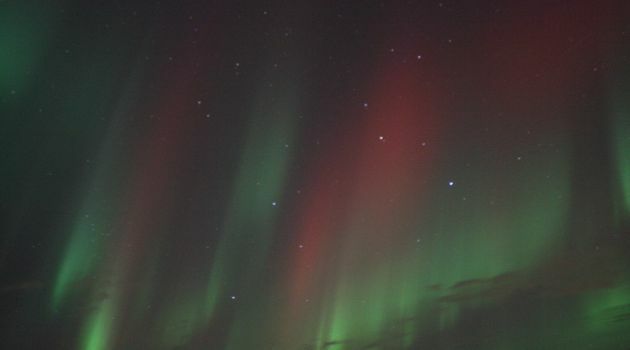 If the evening tour goes ahead and the Northern Lights are not seen, we will offer the trip again for free! We make the decision around 17:00 everyday if the tour is on or not, due to weather conditions.